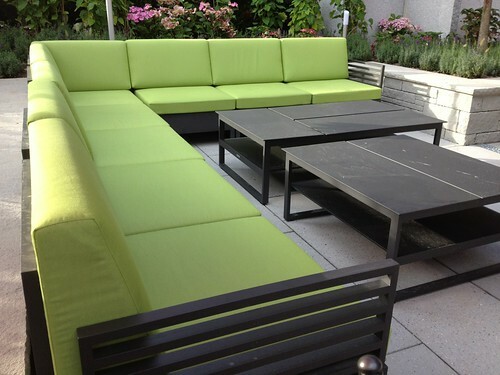 What Materials Should I be Looking for in Outdoor Furniture? Let’s face it; the days when you threw a bunch of fold-up chairs on your lawn and called it a backyard retreat are over. Not only have your guests stopped smoking that stuff that made them feel like they were sitting on poofy little clouds, but also, your options with regard to outdoor furniture have dramatically changed. Patio furniture can be quite an investment nowadays. And who wants to be left in the rain, when the sun can shine so bright on your exquisite outdoor living space?! To experience that fun, you should know about the different materials available in outdoor furniture. They range from plastic to wrought iron, stainless steel or aluminum, from teak and other woods to fiberglass. The main issue remains: How to make the furniture durable, comfortable and low maintenance at the same time? When choosing the material for patio furniture, climate plays a considerable role with regard to durability. For example, if you are residing in a rainy or humid climate, like Vancouver, Seattle or San Francisco, plastic would be more suitable than wooden or iron based outdoor furniture. Steel tends to rust and wood requires lots of maintenance in the form of oil, varnish or paint in order to keep it looking sharp. Patio furniture made of wrought iron is known for its durability and strength. Often, this kind only comes in traditional designs. Look out for brands that protect the iron with a solid coat of plastic. Check for seams and welded areas that might be un-covered. Those will definitely rust, when exposed to the elements. Teak is a more natural choice and can be a good alternative. It contains resinous lubricant to protect itself from the wrath of sun and rain. Moreover, high content of silica present in teak makes it resistant to mould and fungus. Teak needs to be oiled regularly for it to maintain its natural shine and qualities. It is one of the best materials for outdoor furniture, although it can be pricey. Patio furniture made of fiberglass is also known for its durability as it never rusts or shrinks. Being water-proof, it easily resists mould and mildew. However, one of the major drawbacks of fiberglass is that it can start “peeling” off over the years. You will constantly have the particles on your hands and arms. A big trend with homeowners as well as bistros, bars and restaurants is steel or aluminum for outdoor furniture. 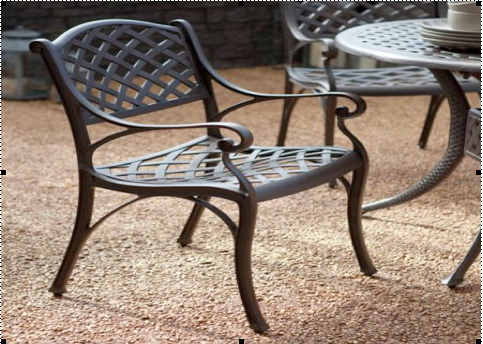 Available in a wide array of styles, shades and shapes to fit your needs stainless steel and aluminum both have the characteristics needed for a durable piece of garden furniture. Watch out for the weight difference; aluminum frame furniture is usually light weight, while a stainless steel table can mean a significant load. More recent materials include garden furniture made from polywood, basically a wood imitation made from virgin or recycled plastic, as well as cement furniture. These are some of the best materials for outdoor furniture. They often are combined, e.g. you will see a stainless steel frame dining table with a teak top or an aluminum frame lounge set that is covered with plastic wicker to give it the natural look. Durability is key when exposing your new patio chair to the rain and sun. So make sure you choose the material accordingly. Beliani carefully selects the materials in its outdoor furniture to ensure a durable and comfortable customer experience. To peek at the latest collection click here. You’re right that teak is a natural and great choice for outdoor furniture. It does need to be oiled frequently but if kept out of the rain and somewhat shaded it isn’t too bad. One of my favorite pieces of outdoor furniture is the teak Adirondack chair. They have a very classy look and will last a long time.